Hi everyone! I hope all had a great weekend. 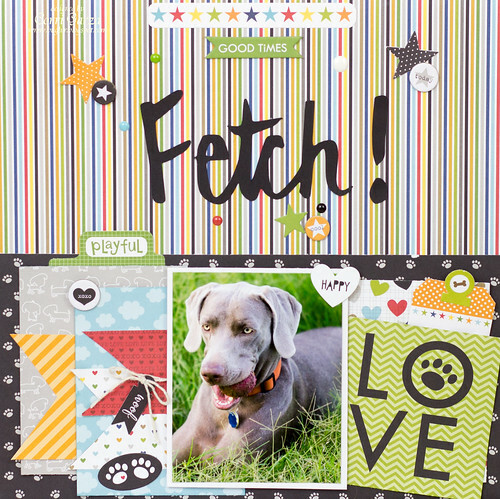 Today I'm sharing a layout I made for Scraplift Sunday. This is a fun challenge that happens every Sunday in the Paper Issues Friends and Fans Facebook Group. Ask for an invite to play along with lots of fun challenges! I used paper from the Bella Blvd - Riley and Rover Collections with a few extra pieces from some older collections mixed in. These new collections will be added to the Paper Issues Shop soon...so keep an eye out. 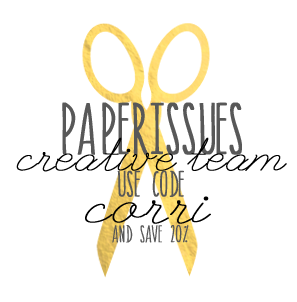 You can use the code CORRI to save 20%. I really love the look of handwritten titles. For the "Fetch!" title on this page, I wrote out the title with a black brush tip marker. I scanned it and and traced it with the Silhouette Studio and then cut it out. I'm so happy with the way it turned out.